Global Dream Literacy Programme is a highly innovative toolkit to promote literacy across demography. Global Dream has turned into a people’s movement for making India literate. At the heart of the transformation process is a TOOLKIT for Global Dream Literacy Programme and a Campaign: "Each One Teach At Least One." 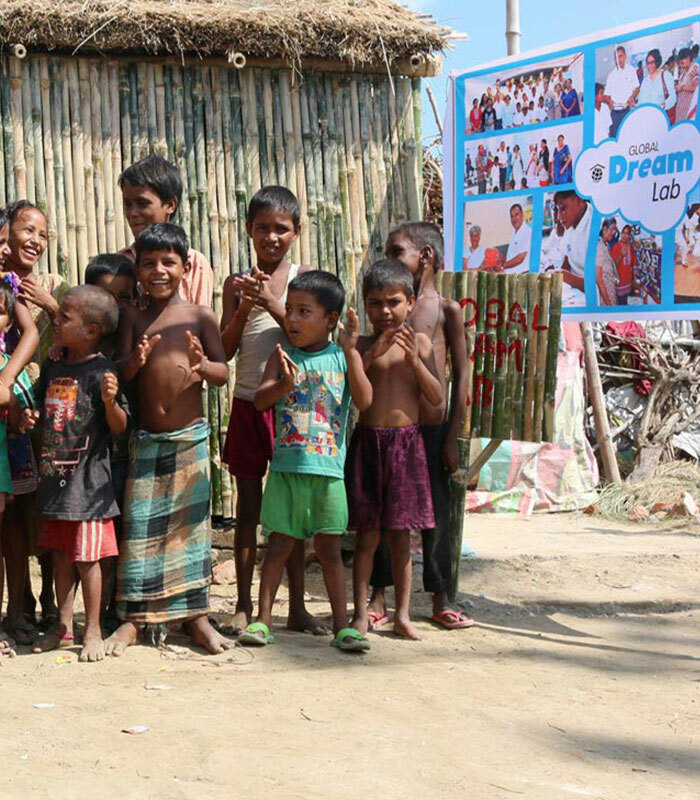 The Global Dream Toolkits are used as the curriculum to teach illiterate people to read and write. They perform much faster than other existing primers and curriculums. Anyone who can read, can teach anyone to read. They can learn anytime and anywhere. Using this TOOLKIT anyone can learn to read a newspaper within a month with an average of 20 minute sessions per day. Next steps in the programme include writing and numeracy that will take an individual to Class III level of proficiency within six months. Further levels include a 'Global Dream Backpack' that includes all that is necessary for a child or adult to reach Class V competency within another six months. With the National Institute of Open Schooling (NIOS) Open Basic Education Programme, these individuals can take a NIOS test at Class III and V levels and join the mainstream. According to research, service learning that provides realworld learning experiences is an important predictor of academic outcome. It helps the students get better attached to school, better- engagement with school and also provides motivation to learn. By teaching an illiterate person, our children learn life skills and values. They become more patient and considerate towards others. These values are more than just alphabets, and this may never get to the children during the 12 to14 years of 'moral education' in normal course of schooling. The first pilot was conducted in the summer break of 2014 in which 60,000 children of 150 schools participated. In May and June 2015, more than 250 schools nationwide have participated. We are grateful for the participation of Rotary India Literacy Mission.